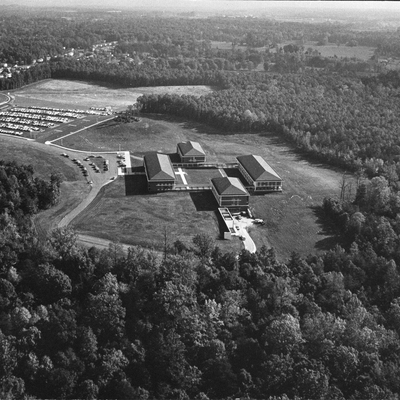 Aerial photograph of George Mason College, Fairfax campus. 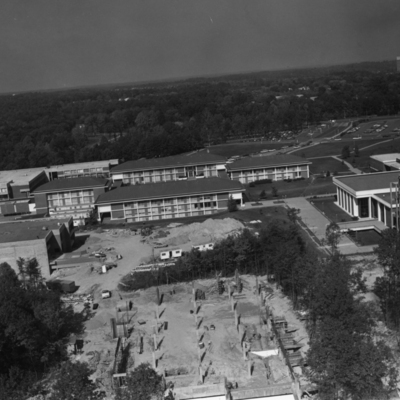 Photo depicts, parking circle, Fenwick Library, Lecture Hall, and North, South, East, West, and Arts and Sciences (later Thompson Hall) Buildings. 8" x 10" photograph print; black and white. 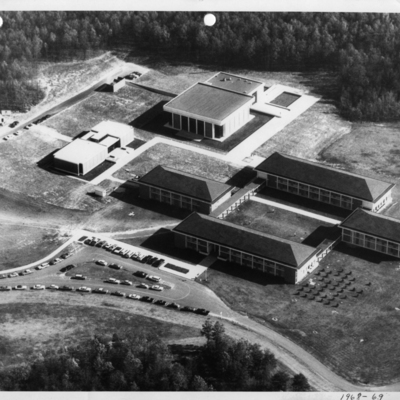 Aerial photograph of George Mason College, Fairfax campus. 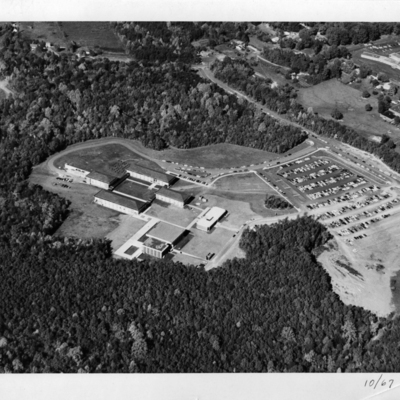 Photo depicts, parking circle, Fenwick Library, Lecture Hall, and North, South, East, and West Buildings. 8" x 10" photograph print; black and white. 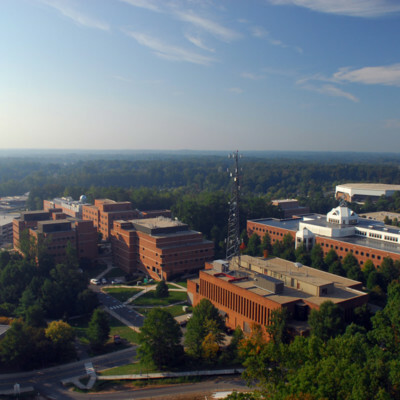 Aerial photograph of George Mason College, Fairfax campus. 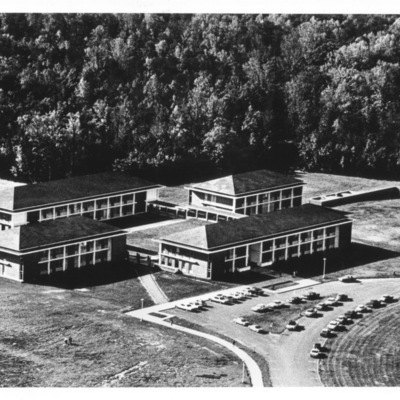 Photo depicts, Fenwick Library, Lecture Hall, and North, South, East, and West Buildings. 8" x 10" photograph print; black and white. 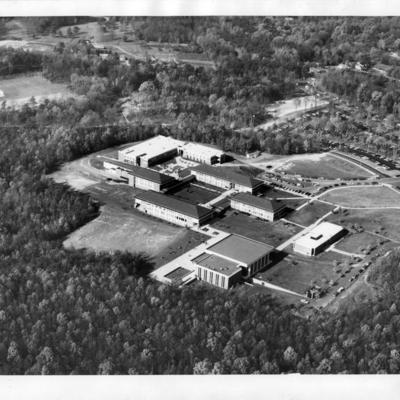 Aerial photograph portraying the newly-built George Mason College, Fairfax campus, ca. 1965. Buildings from top left are: East, South, West, and North. 5" x 7" photograph print; black and white. 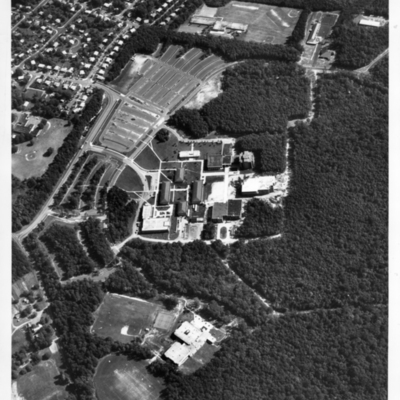 George Mason College, Fairfax campus, 1965, aerial photograph looking east.